What exactly does GoodGym do? We get fit by doing good in the following three ways. Is there a GoodGym near me? We're open in 50 areas all across the UK, from Barnet to York. Find your nearest GoodGym by searching by your postcode or see the full list of areas. GoodGym arose out of a frustration with normal gyms being a waste of energy and human potential. After a year or so of thinking, testing and developing ideas the project was submitted to Social Innovation Camp in December 2008. The project was rapidly developed by a wonderful team of people and won first prize. Following this, GoodGym grew a steering group and put together a pilot project to prove the concept and its potential impact in Tower Hamlets. In September 2009 we formed as a Company Limited by Guarantee (a not-for-profit company) and in Autumn 2010 GoodGym was part of the first iteration of Bethnal Green Ventures. We've been sort of following the lean startup methodology, continually working on improvements to what we do. From January 2012, we worked with the London Legacy Development Company to expand the project to the boroughs surrounding the Olympic Park, and from mid-2012 we worked with Nesta to develop our platform, to improve the experience of our members and to expand to new areas. 2013 saw us expand to Camden and Bristol and we started working with professional trainers and running coaches. Over 2013 and 2014 we've increasingly started to rely on donations from our runners to cover our costs and our work, preventing loneliness and isolation, and promoting fitness, we began to be commissioned by local authorities and the NHS. In 2014 we started operating in Lambeth, Westminster and Newham, and in January 2015 we launched in Islington and Brent. Something we've been working on a lot is loneliness and isolation amongst older people: over 1 million people aged 65 and over admit to always or often feeling lonely, and 17% of those living alone see family and friends less than once a week. 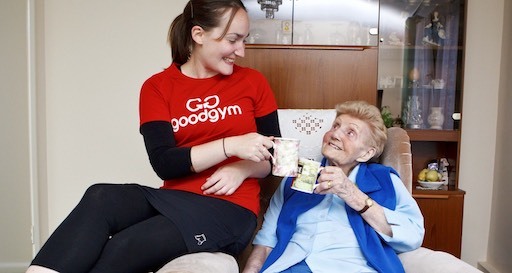 GoodGym makes a contribution to improving quality of life for older people. You can read stories about our runners and coaches here. Research by UK volunteering organisation TimeBank has shown the difficulty of recruiting volunteers, and highlights the importance of developing volunteer-centric roles for volunteering. GoodGym is a “fine grain” approach to volunteering, where participation is based on frequent low impact activities that are integrated usefully into our lives. 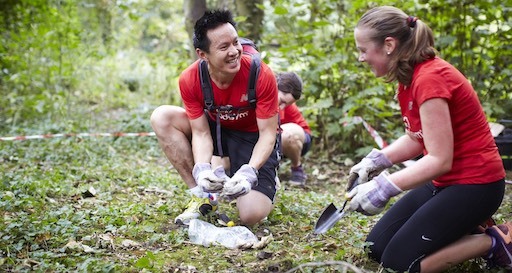 GoodGym is a new model of voluntary action that focuses on our experiences as volunteers and runners. Because it fits into our lives it’s easier for us to commit for the longer term, it makes it easy for us to keep going. Though what we’re doing on each run may only have a small impact, our ability to easily mobilise hundreds of runners gives the project a large impact overall. In gyms all over the country people all over Britain work away furiously; peddling, pushing, lifting, running and achieving no external benefits. GoodGym aims to harness this energy by making it easier for people to channel this energy towards social good. 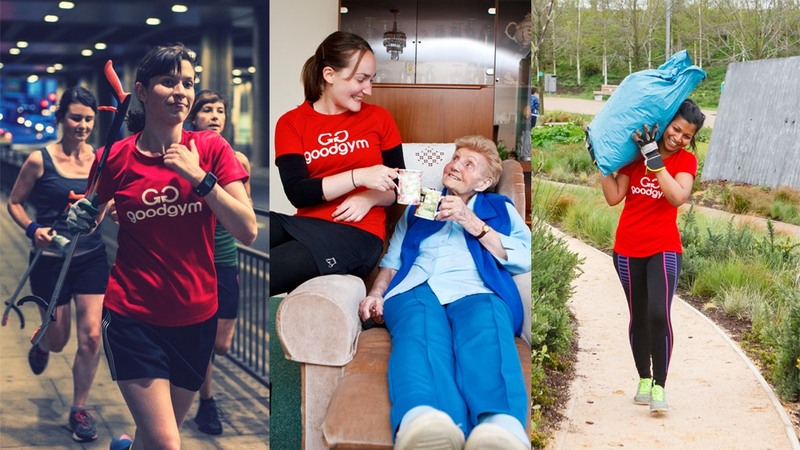 Read our experiences of GoodGym group runs, missions and visits to older people. GoodGym is now open to everyone in 50 areas across the UK and we have hundreds of people interested in setting up GoodGym in their area. We want to rival the success of gyms, getting people all over the world off treadmills and into their communities. We are always looking for brilliant people to work with; if you want to get in touch about setting up GoodGym where you are go to goodgym.org/proposals/[insertyourareaname] - if the page doesn’t exist, email us at: getinvolved@goodgym.org. Paperchase provides us with cards that we send to older people and runners. GoodGym is committed to equality of opportunity both in the provision of services to the public and as an employer. The Board of Trustees recognises the huge benefits that diversity in its broadest sense can have on the organisation. We understand a combination of skills and experiences, age, professional background, gender, ethnicity, disability and sexual orientation make for a range of perspectives and insights needed for sound decision making. 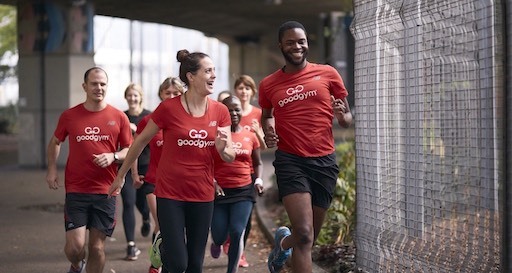 We understand that the Board sets the tone for diversity and equality throughout the organisation and believe that having a diverse leadership team leads to an open and inclusive culture elsewhere in GoodGym. To view GoodGym's operational policies please click here.